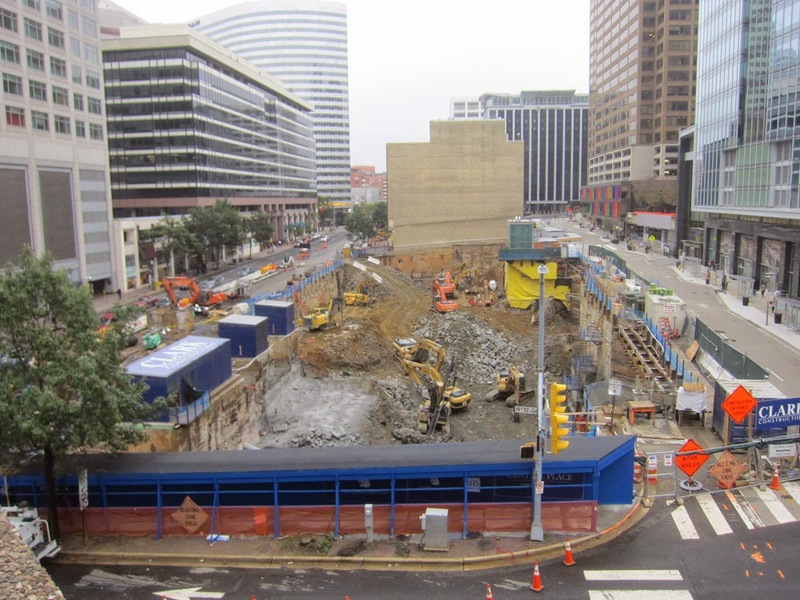 Rosslyn's Central Place is now a magnificent hole. Unfortunately, getting a good view of it is rather difficult. An Ode Street Tribune investigative team probed the area and found the best spot to be the parking lot on the 4th floor of 1901 N. Moore St. When completed, Central Place will include an observation deck accessible to local resident. The Ode Street Tribune urges the new 1812 N. Moore St. tower to provide an observation room at least until the competition for space at the top of that tower is resolved.